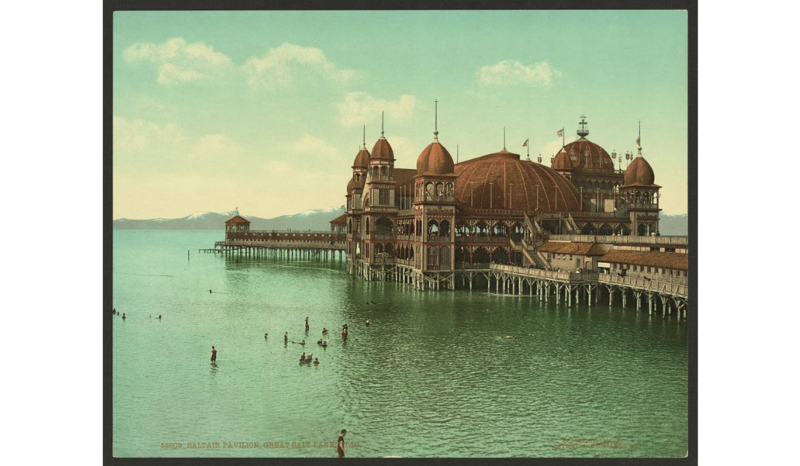 Saltair Pavilion, Great Salt Lake, Utah, c1901. Source: Library of Congress Prints and Photographs Division Washington, D.C.
What's the difference between a bandstand, pavilion, and gazebo? After many hours of research for this historic bandstands series, I've come to believe the name is inter-changeable depending on the community and reason for building the structure. Therefore, today's post will cover a variety of images that didn't fit the labels of previous posts. 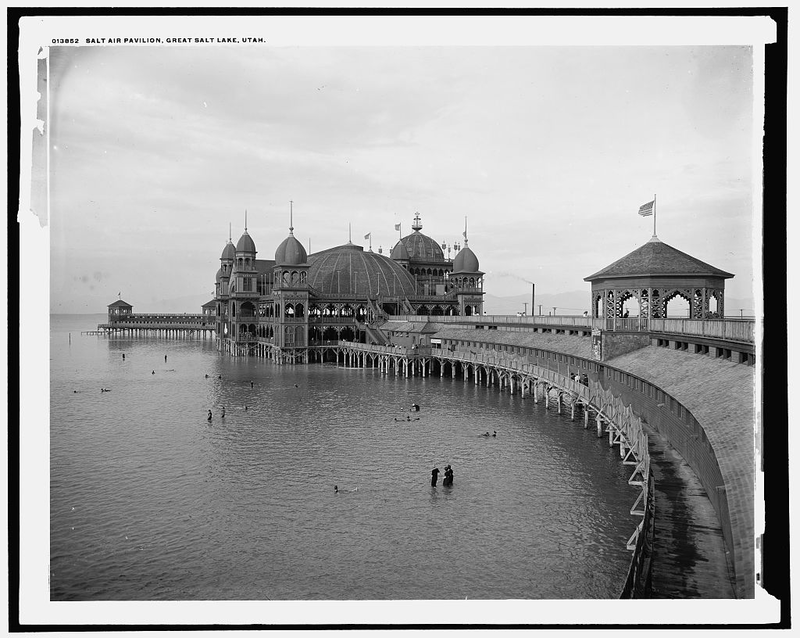 For example, the photographs above and below both show the Saltair Pavilion, Great Salt Lake, Utah. However, the smaller pavilions share the same basic look of a traditional wooden bandstand or gazebo. Saltair Pavilion, Great Salt Lake, Utah, c1900. 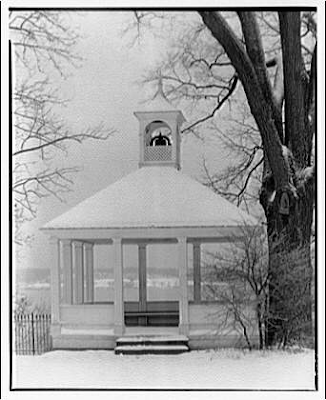 Source: Library of Congress Prints and Photographs Division Washington, D.C.
A gazebo sounds quaint when referring to an open-air viewing shelter, especially where there is a scenic vista. 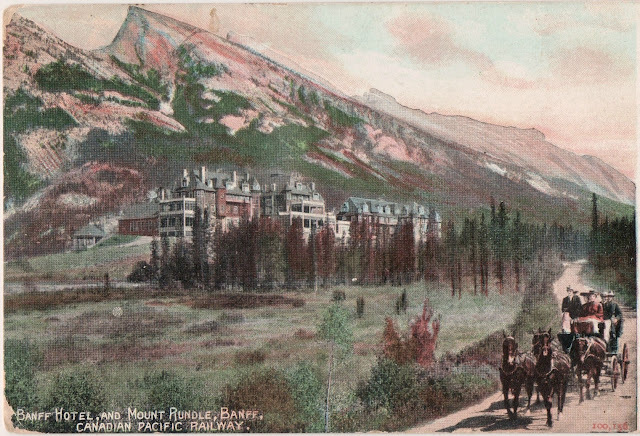 In this next postcard, a walkway allowed one to walk from the original Canadian Pacific Railway Hotel in Banff, Alberta, to the bandstand that overlooked the Bow River meandering through the Rocky Mountains. Can you hear the music strains as they echo through the valley? When the original wooden Banff Springs hotel burned down in 1910, work soon began on the current hotel which still stands today, however the bandstand pictured above was lost. I was excited then, when I found a 1904 postcard which shows the original bandstand on the left of the hotel as it used to be against the backdrop of craggy Mount Rundle. You can't see the Bow River Valley between them, but we know it's there. 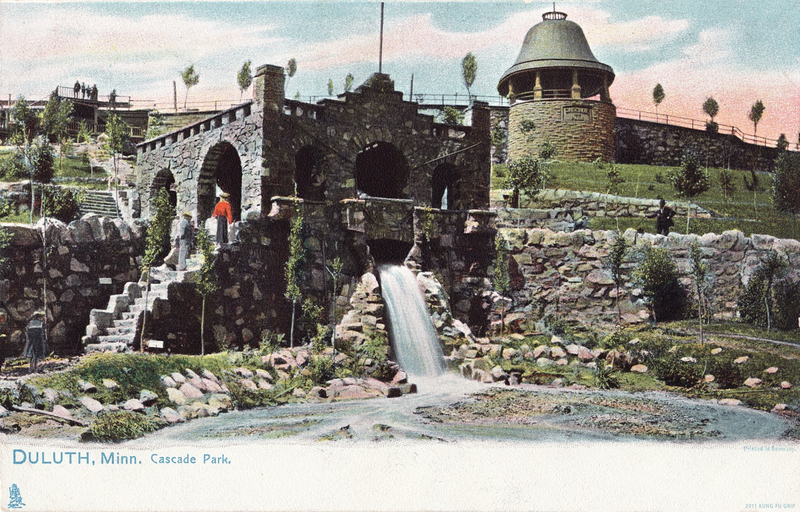 Information about the Cascade Park Pavilion in Duluth, MN must be buried somewhere, but all I could find was mention of the park's sad state of decay due to flooding and erosion. 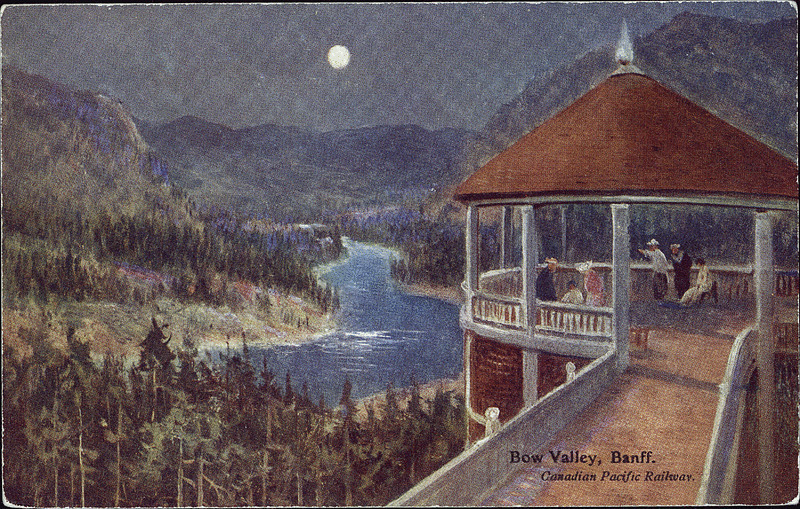 Considering the geographic nature of Duluth, the city view must have been spectacular from the bell-shaped pavilion. This Mount Vernon Bandstand is a great example of a square bandstand, yet I couldn't discover anything about its history. Considering that it appears to be overlooking a river or lake, music would carry, and the bell would peal for a long distance. But why does it have a bell? Bandstand at Mount Vernon, winter, c1920-1950. Source: Library of Congress Prints and Photographs Division Washington, D.C. 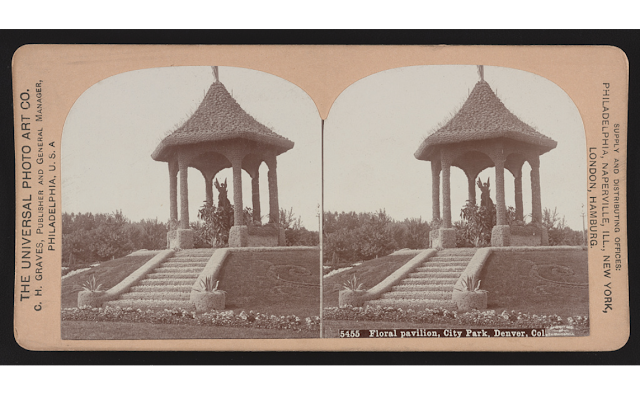 This stereograph of Denver's Floral pavilion intrigued me. First, because it doesn't look like it was made of the same building materials as any other gazebo or bandstand out there, and second because I couldn't find any information about its presence. I'm guessing it was part of a floral exhibit and covered with plant material as it reminds me of the floral floats on the Rose Bowl parade. Floral Pavilion, City Park, Denver, Col, 1900. Source: Library of Congress Prints and Photographs Division Washington, D.C.
As I conclude my series on historic bandstands, I am reassured that these architectural structures prove that music and community events played a large part in the creation of towns here in North America, and even earlier across the ocean. This fact cannot be diminished by the loss of bandstands where there was a need for the material, or to build a better one in its place. The real sorrow comes from the elegant structures that were lost due to lack of interest with no thought to the future and those who would inhabit it. The next time you pass a bandstand-like structure, take a moment to appreciate the dreams that went into it. Have your picture taken in one, selfie or otherwise. Share it on social media. Show the new generation one of the treasures of our past. Before I close this series, would you like to see one final post on bandstands decked out for Christmas? Do you have any thoughts or answers on the structures shown in this post, or previous posts? I've enjoyed your posts about bandstands. Yes, please do one on bandstands decked out for Christmas. I would love to see them decked out for Christmas! Thank you for highlighting these treasures!